Diabetic retinopathy is a condition that occurs when a diabetic’s blood sugar is uncontrolled. High blood sugar levels start a series of events which end in damaged blood vessel walls. 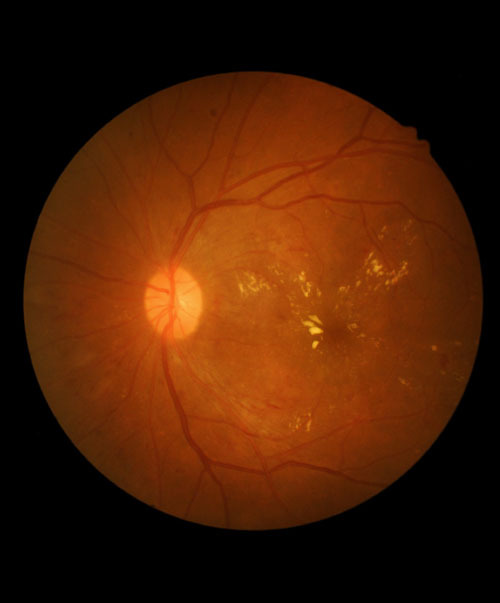 As such, the blood vessels begin to leak fluid or bleed, causing the retina to swell and form deposits know as exudates. Vision can be lost if these areas are not watched and treated. Our doctors carefully examine the back of your eyes to follow and manage this and other important eye diseases and, when further treatment is required, refer and co-manage with retina specialists.